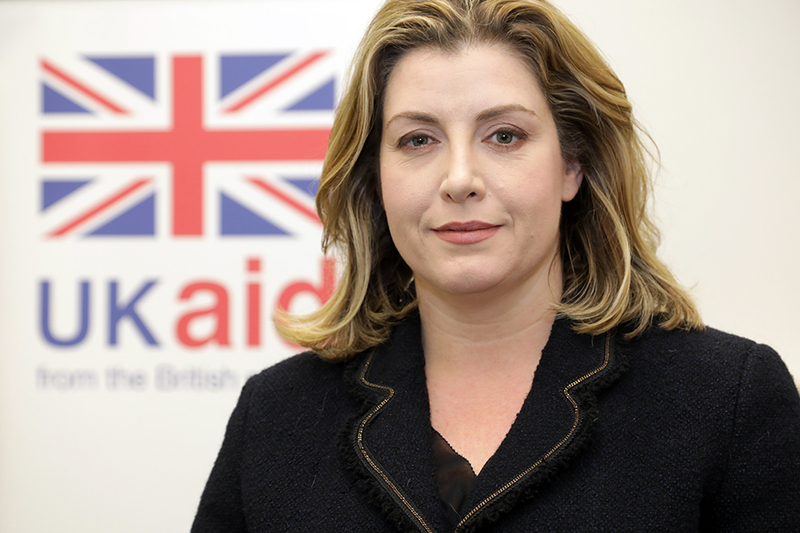 Women and Equalities Minister Penny Mordaunt: Speech at The Telegraph's Women Mean Business event on Wednesday 31 October. This is a really important event. Not just because if we get the right environment and the right support we can have 1.1 billion more women entrepreneurs and £95 billion added to the UK economy by 2025. Not just because the #metoo movement is more than just a statement of shared experience that is shouting for inclusion, but today is important for another reason too. You are going to be hearing from some big names and some amazing business leaders today, but it is also important to think about those leaders that you won’t hear from today and will never hear from. Like some of you, I spent some of my childhood in a single parent family. And I can tell you, you are seeing just as much physical leadership in the heart of British households as you will in any wealthy cooperation. Don’t tell working women who are left to juggle the bread winning and the childcare about logistics and procurement. Don’t tell these people about hard work. They are often working two or three jobs whilst keeping businesses going. We often talk about entrepreneurship as if it is always a choice but these people don’t do it because they’d like to be on the front of Forbes magazine or Fortune. They do it because they can’t. They can’t find employers who understand flexible hours or the unique problem faced by juggling priorities with debts, they just do it themselves. They reinvent the world one day at a time, and they do it quietly. Financially fragile, women with multiple caring responsibilities, women whose partners careers have been the priority. It was once said necessity was the mother of invention but it’s actually the other way around. These entrepreneurial mothers are the invention of necessity, and I want them to thrive. These people are resilient, resourceful and remarkable leaders and I wish our great business schools would spend more time studying them. You don’t hear much about them because getting on social media or joining a political organisation when you are working 18 hours a day is tough. You don’t have time to listen, or talk, or network, or come to events like this. You only have time do what needs to be done. Remember Ginger Rogers saying that she did everything Fred Astaire did but she did it backwards and in heels? Well these days it is more likely to be with no back up and in debt. And for too long women have endured being at best patronised and at worst being casually insulted by a generation of men that elevated confidence to entitlement. And so, as we call for change today and we focus on the barriers on attitudes to change and more women taking decisions in venture capital, we should also think about the conditions for success. Did you know that the fastest growing group of entrepreneurs in the US are black women, running about 2.4 million businesses across the country? And guess which group has the least access to capital? And there are roughly the same percentage of women, working in, and taking decisions in venture capital in the UK as in the US - very few. So what’s the difference, why in some parts of the United States are women entrepreneurs thriving, despite this? Access to capital is one part, but its more so about skills, about confidence, and it’s about networks and support. So when you listen to the amazing speakers you are going to hear today, from Mumsnet founder Justine Roberts, who built her business around her personal view that she recognised others had too. And Mary Portas who credits her success to collaborative colleagues and networks. And when you hear what has made a difference, such as Innovate UK’s Women in Innovation campaign, which resulted in a 70% increase in registrations for funding in female applicants. Let us think how we can take that and translate that for the women who aren’t here today. I am very pleased that the Treasury has announced that Alison Rose, Chief Executive Officer for RBS Private Banking, will be leading an independent review into the particular barriers faced by women entrepreneurs, and the keys to their success. We need to do more of this and learn from other nations liked the United States. So thank you Jo and The Telegraph for providing a platform, for us to do this. And thank you for being here today. Not just for yourselves, and your own businesses and your own ambitions but thousands of other women too.